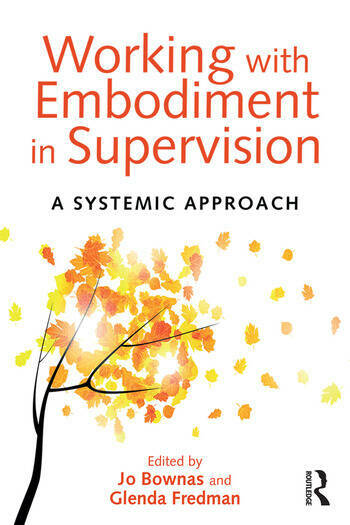 Working with Embodiment in Supervision: A Systemic Approach offers a number of approaches to working with the body in therapy and counselling supervision. The authors are all experienced supervisors of clinical practice. The book is divided into two parts. Part One addresses how power and difference are embodied, exploring implications for the supervisory process. Part Two offers supervisees and supervisors practices for using our bodies with intention in supervision, working with physical sensation, emotion and bodily movement and expression. The book introduces a repertoire of innovative practices for supervisors to reflect on, talk about and work with embodiment in supervisory practice and includes exercises and detailed guides to assist readers in using the practices in their own work. Working with Embodiment in Supervision will be of use for practitioners (both supervisors and supervisees) involved in supervision of clinical practice, as well as trainers and trainees engaged in supervision training. It should also be of interest to those who want to address embodiment in mental health, psychology, psychotherapy and counselling practice. Jo Bownas is a consultant systemic psychotherapist and supervisor working within the NHS. She provides supervision and consultation to therapists and other practitioners working in the National Health Service, in social care, and in independent practice. Glenda Fredman is a consultant clinical psychologist and systemic psychotherapist within the NHS. She contributes to a number of national public services and international organisations, where she works at all levels of organisations with service users in therapy, with staff in training, supervision and consultation, and with teams and organisations in consultation. 'This is an inspiring and thought provoking book that attends uniquely to our embodied selves as supervisors and supervisees – an area for too long left to the side in systemic practice. Its particular appeal lies in the interweaving of theory with often intimate and personal accounts of supervisory practice, and its keen attention to power and social difference in supervisory relationships. Authors encourage us to explore their ideas further by offering guidelines for practical application, ensuring this will become a treasured resource for seasoned supervisors as well as newcomers to supervision.' - Grace Heaphy, Section of Family Therapy, King’s College London. "Working with Embodiment in Supervision is groundbreaking and can be used across all theoretical orientations. It furrows new territory and invites you to interact with its innovative, page-turning ideas in ways which will entice you and forever change your work." – Janine Roberts, from the foreword. "A shift, a major shift, is beginning to take place in how we think and talk in relation to our communication with each other, and it is reflected in all the concerns voiced by the contributors to this book." - John Shotter, from the afterword.